It is interesting to note that Hill’s 1865 View of the Yosemite Valley on loan from the New York Historical Society served as the backdrop for the Head Table at Barack Obama’s 2009 Presidential Inaugural Luncheon. The painting was chosen because it represents the 1864 Lincoln signing of the Yosemite Grant, which set aside Yosemite Valley as a public reserve, the first time the federal government had taken such an action. homas Hill's A Waterfall in the Sierras presents a stunning depiction of a majestic Yosemite waterfall, likely the famous 617-foot Bridalveil Fall. The Ahwahneechee tribe called this waterfall Pohono-meaning Spirit of the Puffing Wind-and believed that it was home to a vengeful spirit of the same name. Native American legend held that one must not look directly into the waterfall, lest he or she be cursed, but also that inhaling the mist from the waterfall would improve one's chances of marriage. 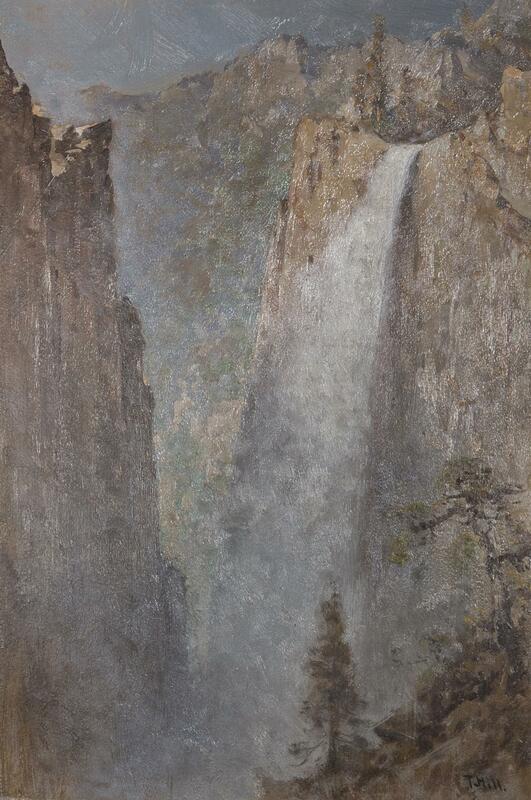 Thomas Hill painted several versions of this waterfall, including his canvas Bridal Veil Falls (left). 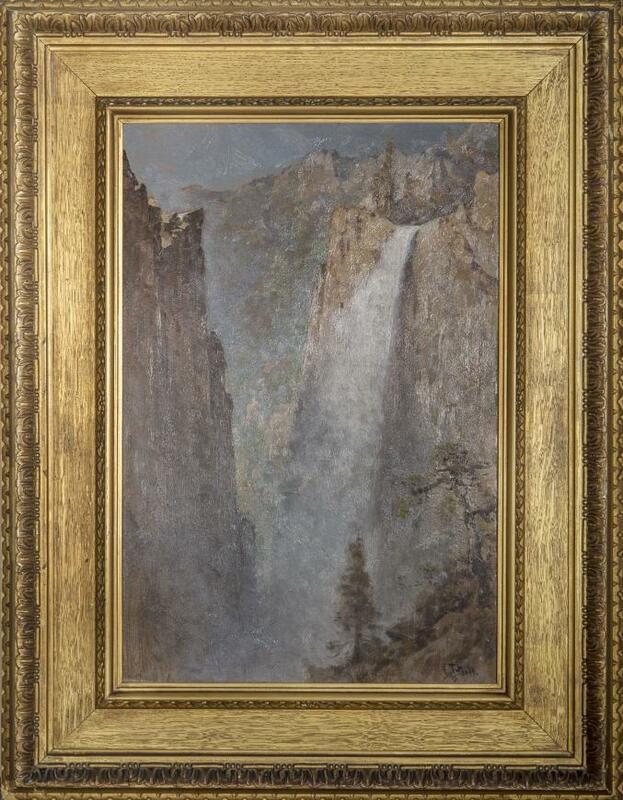 While this example depicts the waterfall awash with bright morning sunlight and flowing lightly, A Waterfall in the Sierras showcases it in the waning light of the afternoon, its water traveling so forcefully that its stream and spray push nearly sideways. One can almost feel the "puffing wind" of ancient legend. 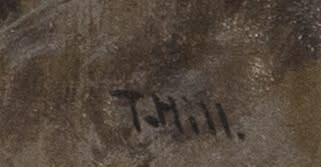 Hill's landscapes reflect his deep understanding of nature; his precise, accurate, and rapidly executed compositions were often painted en plein air and at the exact location of his subject. It is interesting to note that one of Hill's paintings of Bridalveil Falls, completed in 1895, sits in the collection of the White House and White House Historical Association.